1983! It's not only the year one of us was ceremoniously born into this world - it's also a hella strange year for films! But we're in the middle of our HUGE 80s #FantasyMovieDraft Tournament. 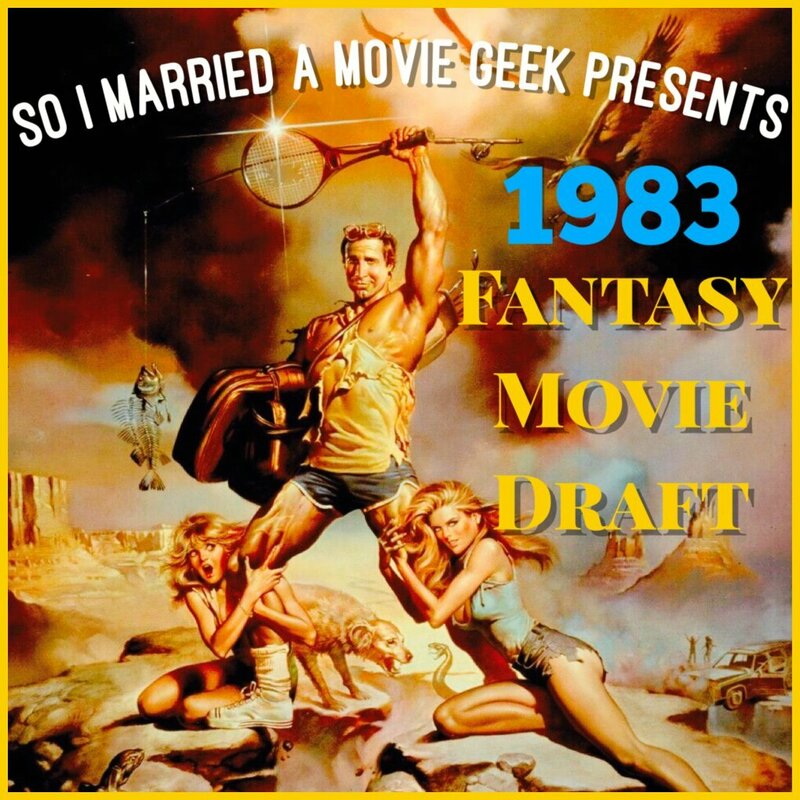 So we invited 4 drafters to compete for the all-important '83 spot to advance - returnees Gerald from Two Peas on a Podcast and Ben from Blockbuster Mentality plus draft newbies Daniel from IMDB Journey Podcast and Alexa from You Can Rewind It! It was BANANAS y'all! Go to our Twitter and vote for your favorite team once the poll drops! Please check out our podcast on Facebook, follow us on Twitter @MovieGeekCast and find our pod and several other awesome ones like it on the PodFix Network! Subscribe and if you like us (like really like us), we'd appreciate it if you leave us a positive rating and review on Apple Podcasts! You can also email us any questions or comments to moviegeekcast (at) gmail (dot) com!